Don’t be fooled by the dearth of female models on 9Tailors’ website: The custom suiting company welcomes women into its cozy Leather District showroom. Stop by or schedule a private appointment at the 10-year-old boutique, where consultants stand ready and willing to advise on fit and thousands of fabric options. Must-Buy: Custom two-piece suit, starting at $585. 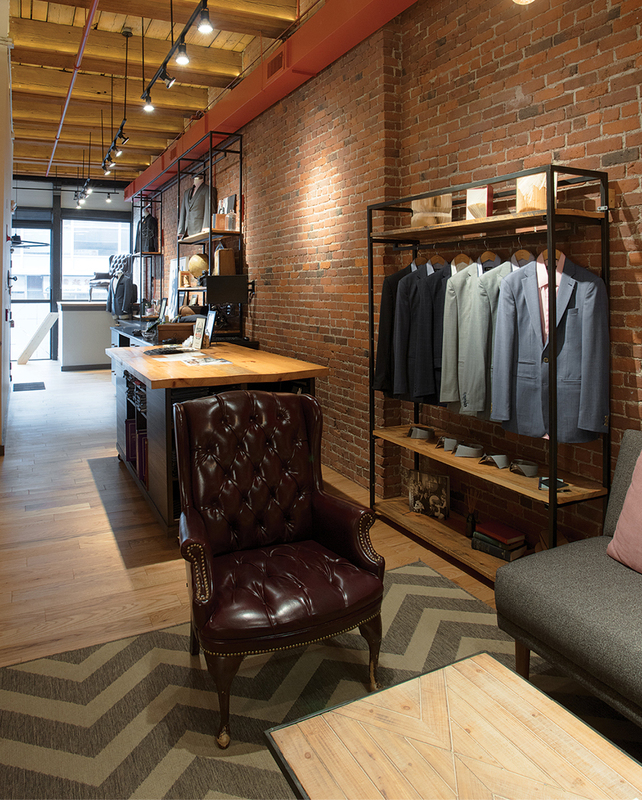 132 Lincoln St., Boston, 617-286-6135, 9tailors.com. Although Reiss’s Boston location lacks some of the bells and whistles of its New York and London counterparts, the brick-walled shop still wins our vote for its modern selection of mix-and-match separates: trendy wide-leg trousers, sleek blazers, and tailored V-neck dresses you won’t mind wearing out for post-work cocktails. 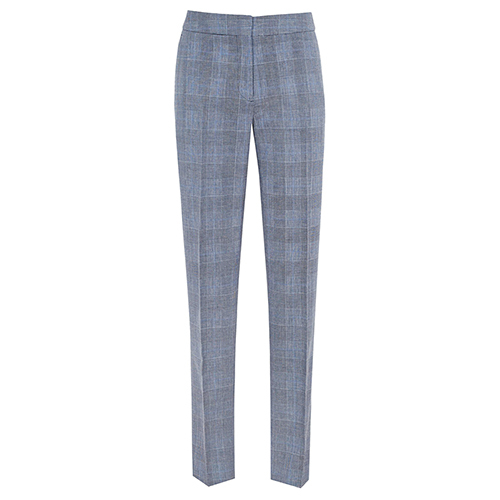 Must-Buy: “Chelton” wool-blend trouser, $245. 132 Newbury St., Boston, 617-262-5800, reiss.com. Big meeting coming up? There’s nothing like knowing you look fierce to help you really act the part. Find all the sartorial courage you need at Armani, home to a splurge-worthy selection of luxe silk suits and blouses, as well as coordinating jackets and slacks in plush velvet and wool. 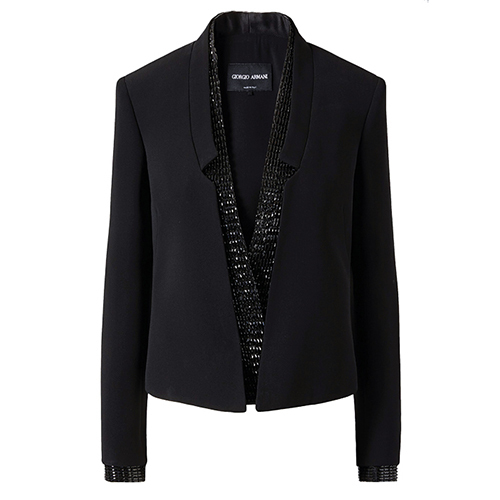 Must-Buy: Silk suit with rhinestones, $8,995. 22 Newbury St., Boston, 617-267-3200, armani.com. Brooks Brothers may have found a flashy creative director in Project Runway’s Zac Posen, but the 200-year-old retailer’s womenswear line is still rooted in tradition. Peruse the neat displays for everything from sharp pencil skirts in classic silhouettes to slim-fit pants with just the right amount of stretch. Must-Buy: Double-breasted wool tuxedo dress, $798. 46 Newbury St., Boston, 617-267-2600; and other locations; brooksbrothers.com. Pantsuits have come a long way from the days of shoulder pads. Italian brand MaxMara continues to push the style envelope, stocking a design-minded—and rather extensive—suiting collection that includes “denim-effect” wool separates, elevated jersey jackets, and carrot-fit trousers with gold piping. Must-Buy: Double-breasted velvet jacket, $1,250, with velvet trousers, $595. 69 Newbury St., Boston, 617-267-9775, us.maxmara.com.